Sabuktigin was the slave of King of Ghazni Empire. He was a Kind hearted and courageous man. The King highly admired him. He trusted Sabuktigin's ability and skill. Sabuktigian was fond of hunting. One day he went for hunting. 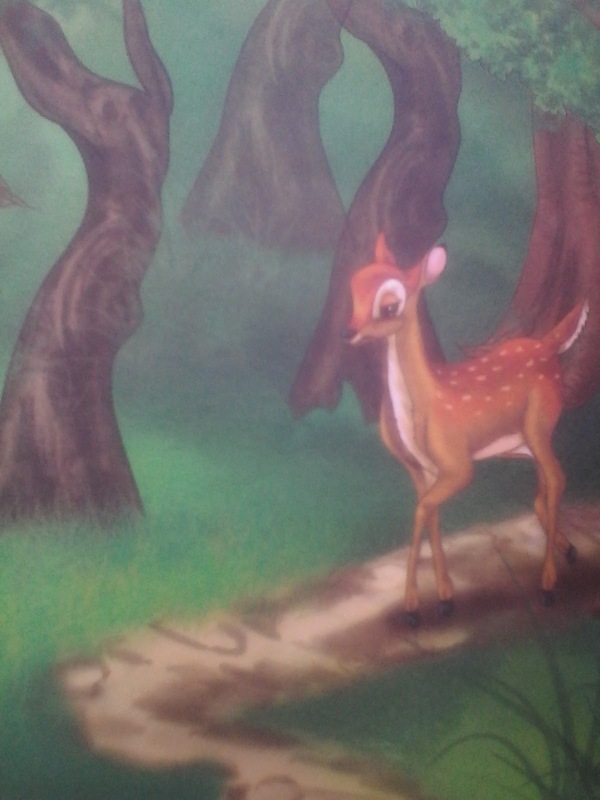 He kept wandering in the forest all day. 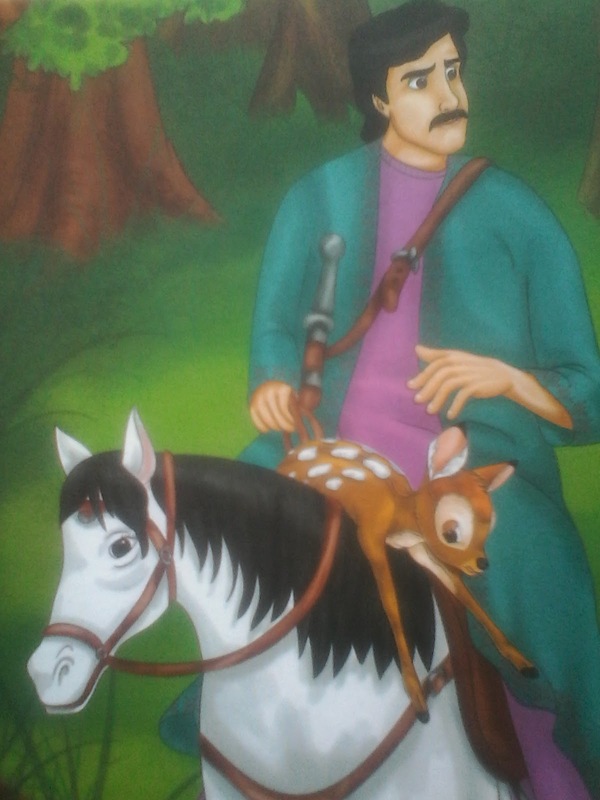 But unfortunately he could not hunt any animal. At last he became disappointed. He thought that today he had to return empty handed. Suddenly a fawn came there. Sabuktigin dismounted from his horse. He put the fawn on the horse and set off. It was getting dark. Sabuktigin was riding the horse very fast. After some time, he looked back and noticed that the mother deer was following him. She was looking at him helplessly. Sabuktigin was surprised to see the motherhood of mother deer. He took pity on her. He stopped the horse and released the fawn. The little fawn ran towards his mother. 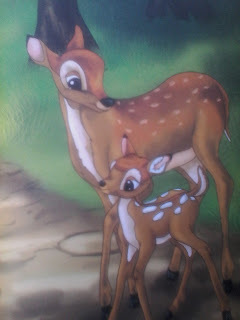 Mother deer started caressing her child. The baby deer also cuddled her. At first, the fawn was scared but his mother's loving touch made him feel comfortable. The mother deer was caressing her child continuously. She was looking pleased. Sabuktigin was lost in the scene. He stood there for some time. The mother deer looked at him thank fully. Next moment she looked at the sky as if she was praying. While she was leaving, she turned back again and again to express her gratitude. At last, they were out of sight. Sabuktigin returned home feeling satisfied. 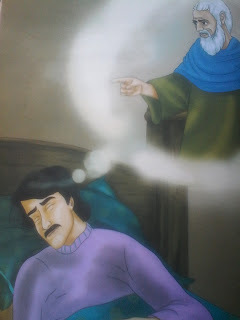 At night, Sabuktigin Saw a saint in his dream who was saying Sabuktigin Allah liked your kindness. He granted you the kingdom. 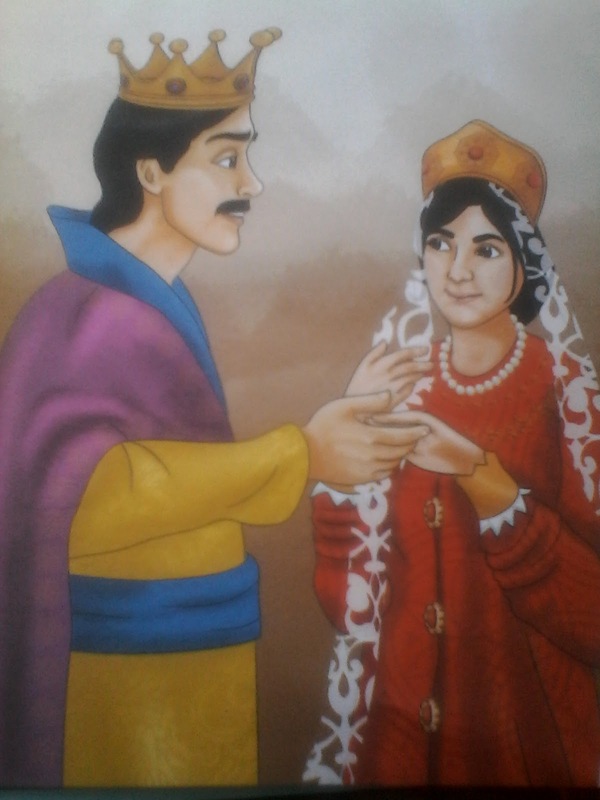 The king of Ghazni had a daughter but no son. He was inclined towards Sabuktigin. He married his daughter with that kind servant. After the king's death, there was no descendant. Allah had rewarded Sabuktigin for had kindness he now became the king of Ghazni. Sultan Mehmood Ghaznavi was the son of Sabuktigin.